How Long Does Hydrocodone Stay In Your System ? Hydrocodone is commonly known as a pharmaceutical drug that is very popular because it is used in treating pain. Another use of this drug is to suppress the effect of chronic coughing as it has an antitussive action. Hydrocodone is a semi-synthetic drug. It is mostly prepared synthetically from codeine which is an alkaloid of opium or poppy seeds. When this drug is ingested, it leads to analgesic effects by binding to the opioid receptors and also deltaopioid receptors. The opioidergic effect of the drug is responsible for causing a feeling of pleasure, happiness, relaxation and euphoria because of its action on the mu-receptors. 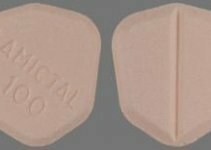 This favorable effect makes it prone to abuse and so it is categorized as a Schedule II drug in United States Of America. The drug is associated with high level of addiction and so users tend to quickly become addicted to it and need a regular supply of the drug and an increase in the dosage to continue the therapeutic effects. 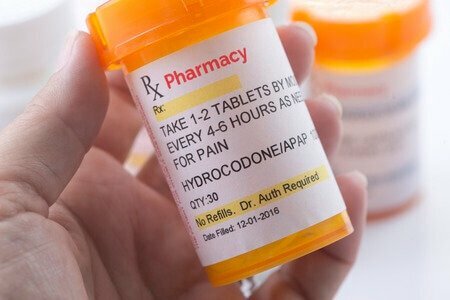 Hydrocodone has become popular for its analgesic properties but it should be remembered that the drug cannot be used for a long time. It is not advisable from health point of view. Long term use of hydrocodone will hamper the endogenous production of opioid and also initiate a series of neurophysiological symptoms like mood swings, drowsiness, vomiting, dizziness and also at time impairment of motor skills. In order to prevent these harmful long standing complications, quite a few users stop using the drug and also strive to clear their system totally from the drug as early as possible. So How long does hydrocodone stay in your system ? If you are using the drug and want to remove it completely from the system, first you will have to discontinue the drug even if it leads to withdrawal symptoms. Whenever any addictive substance is stopped abruptly, there will be a series of new symptoms that come up and these are called withdrawal symptoms. Some of these are very horrible and troubling to the patients. Thus any drug stoppage should be done systematically and preferably under the controlled guidance of a doctor so as to avoid complications like blood pressure fluctuations, violent behavior and convulsions. If you have completely stopped taking the drug then you will be thinking how long will it take to clear the drug completely from the system. This can be understood if you study and know the concept of half life. Studies have proved that the average half life of hydrocodone is 3.8 hours. In easier words, the body will take about 4 hours to excrete half that is 50% of the drug from the body. The half life explains that the complete expulsion of hydrocodone will take about 20.9 hours. Some studies show that the half life varies in a range between 3.3 to 4.1 hours. It means that some users can be successful in making their system free from the drug faster than others that is within a time period of 18 to 22 hours. Most of the people using the drug clear it from their body in a span of 24 hours but the break down products or metabolites may last for upto 2 days. There are a multitude of factors that affect the metabolism of the drug and thus influence its clearance rates in the body. These factors decide how much time the drug stays in the body. These factors are individual factors like age, genetics and liver metabolism. Dosage, frequency of ingestion. The use of other drugs along with hydrocodone also play an important role in assessing the metabolism rate. Age: As compared to a younger individual, if an elderly person takes the drug, it will take much longer for him to excrete the drug from the system. This could be because of the liver functions or the suboptimal amount of blood flowing to the liver. Most of the elderly people are already taking some medications and also suffer from chronic medical disease like blood pressure and diabetes. So it can be understood that if a younger person take the drug, the hydrocodone will be cleared much faster from his system due to an active metabolism. Body mass index: The height and weight of an individual have a important role in deciding their metabolism rates. BMI is calculated by a fixed formula using the height and weight of the individual. A tall person who is heavy will eliminate the drug faster than a shorter and smaller individual. The reason is that the dose of the drug ingested is metabolized in proportion to the body size. More the height, weight and fat, faster will be the clearance. Genetics: There are many genes that are known to affect the ability of the body to metabolize a particular drug. This holds true for the metabolism of hydrocodone also. Genetic variations that affect the liver enzymes in the body are CYP450. These determine how fast a person’s body can metabolize the hydrocodone. Based on this genetic tendency, there are categories like rapid metabolizers and poor metabolizers. This results in variable effects of a particular drug in different persons and also the variability in drug clearance rates. Food and Water: It has been studied that consuming the drug along with food especially food high in carbohydrates can slow down the absorption rate. If the same drug is consumed empty stomach then the absorption is much faster. This difference in absorption influences the clearance of the drug from the body. A heavy meal loaded with carbohydrates can slow down the absorption of hydrocodone. Liver/kidney functions: The drug hydrocodone is metabolized by the liver enzymes. Impairment of the liver functions will greatly affect the metabolism rate. The prolonged metabolism will lead to an increase in the half life. It will also prolong the clearance from the body. For example a patient of cirrhosis of liver will take much longer to clear the hydrocodone from their body when compared to another individual who has a normal functioning liver. Apart from this the clearance and normal functioning of the kidneys will also play an important role in drug clearance on a daily basis. Metabolism Rate: The basic metabolism rate of an individual is the main factor affecting the clearance of the drug from the body. A person with a faster BMR will metabolize and excrete the drug at a much faster rate than someone who has a slower basal metabolic rate. The BMR is dependent on many factors like the diet, drugs, exercise and supplements. Urinary pH: The effect of the urinary ph on the drug clearance from the body is not very clear or well known but it does play a significant role in the clearance of the metabolites from the body. Persons who have an acidic urine can clear the hydrocodone more effectively than someone with an alkaline urine ph. The reason behind this is that the alkaline ph of urine tends to promote the re-absorption of drugs before they can be eliminated from the body thus slow down the clearance. 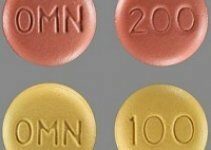 An individual who has used hydrocodone only once that is a single dose user will be more likely to get rid of the drug faster from his system as compared to a person who has been using the drug regularly since many years. If the drug is taken frequently over a period of a few days, then the drug along with its metabolites tend to peak in the system due to accumulation. If the peak of the drug is achieved, then the clearance takes much longer than usual. Single time users do not accumulate the drug in their system so the hydrocodone levels are not that high as in frequent users. Single time user can clear his system of the drug very effectively within 48 hours. As compared to this, a frequent user will need much longer than 48 hours to clear the system completely of the hydrocodone. Due to this long duration of the drug clearance the urine test often tends to come positive even after two days. In frequent or regular users, there may be a subsequent dose ingested before the first one is completely metabolized and excreted. It is essential to understand that the levels of metabolites of hydrocodone tend to accumulate in the body of frequent users and lead to a prolonged clearance time. In case a person is taking other drugs and supplements along with the hydrocodone, the rate of metabolism tends to get affected. The metabolism and excretion of the drug is either slowed or fastened depending on the drug taken. Hydrocodone is metabolized by CYP450 isoenzyme CYP2D6. So the drugs that affect CYP2D6 can decrease or prolong the half life of the drug. Examples of CYP2D6 inhibitors are drugs like citalopram. 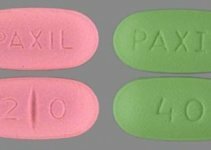 Fluoxetine, Codeine, Perphenazine, Serindole etc. In case you suspect that the drug that you are taking is interfering with the hydrocodone clearance, talk to your doctor about it. Some inhibitor medicines tend to slow down the absorption rate more than others so you should talk to your physician if you have any doubts. There are some other drugs that are called as inducers of CYP2D6 and they tend to enhance the hydrovodone metabolism. These include drugs like dexamethasone and rifampin. Both these drugs fasten the metabolism thus resulting in faster clearance from the body. Hence we understand that all these factors play a very important role in the metabolism of the drug from the body and they do so by different mechanisms. After the oral ingestion of the hydrocodone, it gets absorbed into the gut (gastrointestinal tract). Studies have shown that a dose of 10 mg of the drug, will lead to maximum serum levels after around 1.3 hours. Hydrocodone gets metabolized by CYP450 isoenzymes which are CYP2D6 and CYP3A4. The CYP2D6 leads to O-demethylation of the drug and results in the formation of hydromorphone which is a metabolite of the drug. Catalyzed oxidation of CYP3A4 leads to the formation of another metabolite called norhydrocodone. There are some other metabolites that are formed in smaller amounts and they are 6-alpha hydrocodol and 6-beta hydrocodol. More than half of the clearance of hydrocodone is carried out by CYP2D6 and CYP3A4. The rest of the 40% of the clearance is done by non CYP pathways. It has been seen the oral administration of hydrocodone leads to a half life that is about 3.8 hours where as the metabolites have a half life of up to 2 days before it can be cleared 100% from the system. The other metabolites excreted in the urine are dihydrocodeine, dihydromorphone and isodihydromorphone. The amount and the concentration of these metabolites will vary as per the age and gender of the user. Females have shown to have more norhydrocodone levels and males have shown to have higher levels of hydromorphone. Studies have shown that three fourth of the drug gets excreted within the first 24 hours after it is consumed and the rest of the metabolites are cleared from the body in 72 hours. There are a number of tests that can be used to determine if a person has taken hydrocodone or not. These are urine, blood and saliva tests. The best and most effective test is the urine test and the reason is that the metabolites are easily detectable in the urine for up to 2 days after ingestion. (1)Urine Tests: This test is one of the most effective ways of assessing whether a person has consumed the drug or not. It involves the collection of the urine sample which is then sent to the laboratory for analysis. A major part of the hydrocodone is excreted through the urine so a urine sample is very effective. Hydrocodone itself is not detectable after 24 hours due to a small half life but its metabolites like norhydrocodone is detectable for 2 days in the urine. If you go for a urine test the main thing that will be checked for is the metabolite called norhydrocodone. Norhydrocodone tends to accumulate in the body of regular users and so the drug can be detected for more than 2 days in the urine. Sometimes it can happen that the drug is detected in the urine for up to 7 days that is a week after the drug was ingested. Urine samples are considered highly effective, accurate and cheap mode of testing. They are non invasive and easy to perform. Since the metabolites are excreted in the urine, the urine analysis gives a wider window for detection as compared to blood tests. When the results are being studied, one important point to be remembered is that females will test positive for the test for a longer duration than males because the hydrocodone when metabolized leads to the formation of norhydrocodone much more in females as compared to males. This metabolite has a longer half life and so it remains detectable for a longer time. (2) Hair tests: Another way of testing the presence of the drug in the body is hair tests. Hair sample is a very effective test. A single hair sample will consist of 20-50 hair follicles and they are then sent to the lab for analysis. The only drawback of this test is that it cannot detect any signs of recent drug ingestion. Because when the drug is taken, it circulates in the blood and the traces will be found provided new hairs grow out. The hair samples can detect the presence of opioid products even 90 days after ingestion. The longer the hair sample, more is the chance of detection. The detection of hydrocodone in the hair is confirmed with GC/MS that is gas chromatography/mass spectrometry and another test called ELISA-enzyme linked immunosorbent assay. The amount of hydrocodone present in the hair sample is directly related to the amount of drug ingested. The hair tests are relatively expensive and to get a positive result the time between the ingestion and the testing is very long. This is the reason they are less used even though they are pretty accurate. The test can be used for detecting very small amounts of hydrocodone. (3) Saliva tests: Saliva tests are carried out by collecting a good amount of the oral fluid and sending it to the laboratory for analysis. It is difficult to detect the presence of hydrocodone and its metabolites in the saliva and so the test is less preferred. The rate of detection is higher in the urine samples than in the saliva. If the test is used it can detect the presence of hydrocodone and norhydrocodone in the saliva. Most people who are subjected to a saliva test for detection of the drug will test positive within few hours of the drug ingestion. Hydrocodone remains detectable for upto 1 day after ingestion where as the metabolite norhydrocodone can be detected for up to 2 days. Norhydrocodone is excreted in a lesser amount in the saliva than in the urine so the window period of detection is low. If the saliva fluid is suspected to have hydrocodone or its metabolites then GC/MS test can be used to confirm the above and get the most accurate results. (4) Blood tests: This is another way of testing whether someone has consumed the drug or not. Blood tests are carried out by means of a blood sample that is collected from the suspected user and sent to the lab for analysis. Blood tests are not the most preferred method of detection because the window period for detection is shorter as compared to other testing methods. Blood tests are invasive in nature and less accurate than urine tests which are comparatively easier to perform. Hydrocodone remains detectable in the blood for 1.3 to 24 hours after ingestion. This modality of testing is generally used in hospitalized patients who are suspected to have a drug overdose of this drug or a combination of few drugs. The blood sample test is easy to perform in hospitalized patients and the analysis is quick as it is done in the hospital lab itself. The results can determine whether or not hydrocodone was consumed. If the results show that the person is under hydrocodone toxicity, then the appropriate drug needs to be given to counteract the depression of the central nervous system. Atheletes: It is rare that athletes will be subjected to testing for hydrocodone but they are administered to a standardized drug test which can detect the presence of morphine and its metabolites. Drug Rehabilitation Persons: People who are admitted to drug rehab centers are monitored very closely for any kind of relapses. The withdrawal symptoms of the drug abuse are so strong that many people go into relapses. Also they have a tendency to take overdoses of whatever drug they can find including hydrocodone. So screening tests are very important in such cases. Employees: Many companies need their employees to be screened with drug tests. This is more commonly seen in truck drivers, mechanics and any other job that involves use of a motor or heavy machinery. This is because the drug hydrocodone causes depression of the central nervous system making the users at a high risk of accidents while at work behind machines. Military Personnel: Military personnel are often subjected to frequent and mandatory drug tests because their profession demands full time alertness and attention. Under the effect of the drug the person can become a potential risk to the security and safety of the nation. If the military personnel is tested positive for hydrocodone, he will be delisted without any compensation. There are many tips that you can use to clear the drug and its metabolites from your system. The most important tip is to stop taking the drug completely. Taking CYP2D6/CYP3A4 inducers can also hasten the removal of the drug from the system because hydrocodone is metabolized by the isoenzymes in the liver CYP2D6 and CYP3A4. The urinary pH is also known to affect the drug clearance from the body. Increasing the acidity of the urine will fasten the clearance of the drug from the body. It is known that a good diet and hydration can help you to clear the drug faster from the body. Exercise in the form of cardio can enhance the clearance of the drug in a more efficient way as it improves the circulation of blood in the body. How Long Does Cocaine Stay In Your System ? How Long Does Heroin Stay In Your System ? How Long Does Kratom Stay In Your System ?